This is an extremely fascinating book. The 1,800 mile trip that created its story was done in 1912. It was the second of such scientific explorations of the still unknown Quebec, the first taking place in 1907. 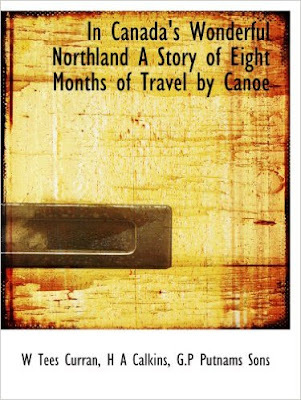 That trip was reported in another book titled, “Glimpses of Northern Canada, a Land of Hidden Treasures,” which was published by the Canadian Government. It was so widely received and in such demand, that writing this second book was a foregone conclusion before this trip even started. Pinterest search, from near Fort George, circa 1900. 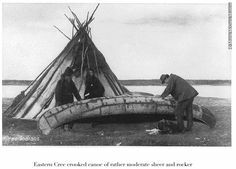 Besides understanding the need to explore and ascertain the new land’s treasures in minerals and other natural resources, the reader is given a clear understanding of the challenges endured, the lives of people among the Hudson’s Bay Company posts, the nature of local Eskimo and Indian groups, and even the struggles of living among teams of Huskies. The challenges of traveling with scant knowledge of the region, little to no navigational information, no communications between the groups of the expedition or the outside world, sometimes little food or even wood for starting a fire, and savage weather are clearly brought to the reader. The launch was used mainly to transport the supplies needed to sustain them for eight months, but the canoe was used for exploration, reaching the shore, and more importantly, while pinned down for days on shore, using the canoe in rough seas to recover supplies from the launch, which may be anchored a mile or more offshore to keep it from being bashed on boulders. 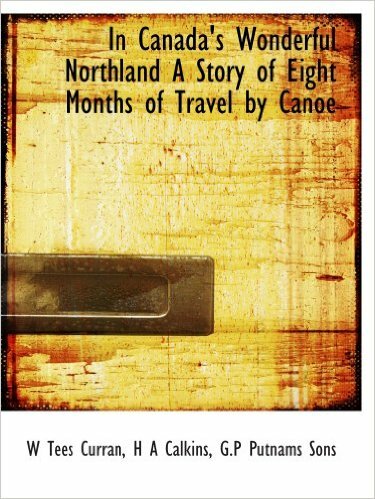 From the point of view as an adventure, a canoeing story, or acquiring a better understanding of history, this is a book well worth your time.